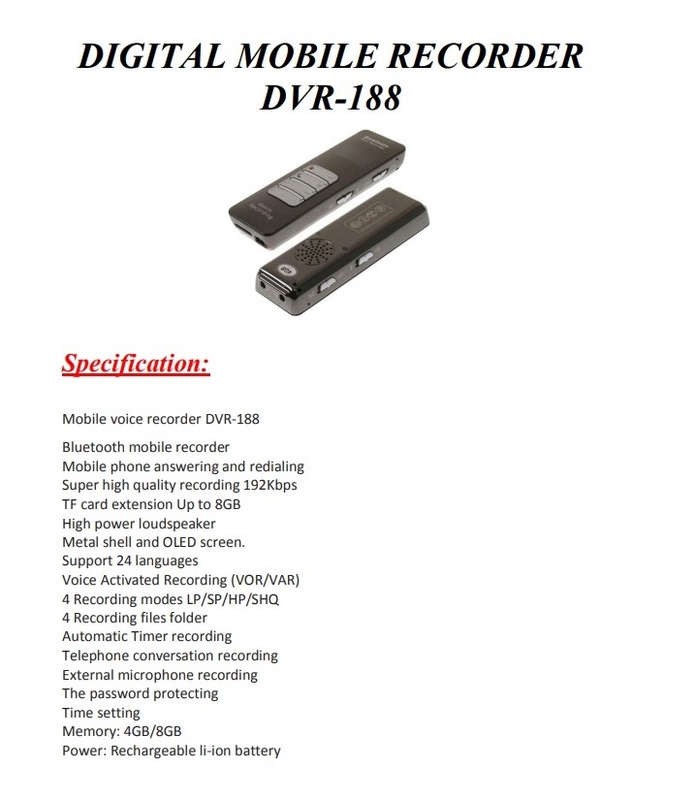 Hnsat Phone call recorder - DVR-188 with Bluetooth technology combines functions of a standard device for recording sounds in the immediate surroundings, and a bugging system for phone call recording. 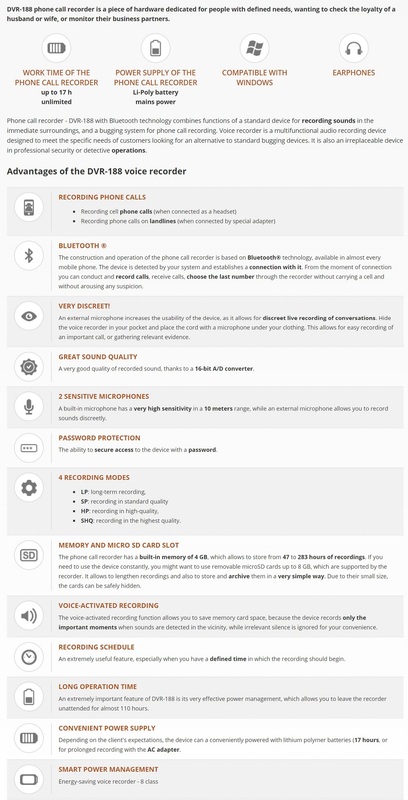 Voice recorder is a multifunctional audio recording device designed to meet the specific needs of customers looking for an alternative to standard bugging devices. It is also an irreplaceable device in professional security or detective operations.